From a consumer perspective “the cloud” revolves around music, photos, email, and perhaps a bit of productivity. Some of those are important for small and medium businesses (SMBs) as well, but really only scratch the surface of what the cloud has to offer for businesses. What about all the rest of the cloud-based services? SMBs will be happy to know there’s no shortage of business and productivity tools available from the cloud, and new products and services are constantly being introduced as enterprising developers come up with new, innovative ideas. Email is still the primary method of digital communication for most businesses, but instant messaging runs a close second in many cases, and video chat is growing in popularity as well. This is one area where cloud based services excel, and where there are plenty of free options available. Facebook and Google+ both have integrated messaging you can use to chat with other contacts on the given social network. Skype also has an instant messaging element, and all three provide video chat services as well. The only real potential down side to all three of these is that the person you want to communicate with must also be on the same service in most cases. 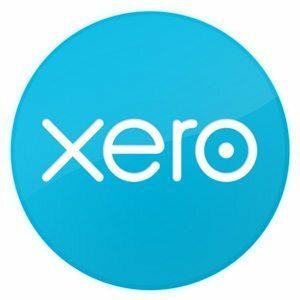 Xero is a cloud-based platform for accountants. Unless you’re an accountant, odds are fair that accounting and tracking expenses are on the list of tedious chores you put off until the last second. It’s even more of a burden if you’re tied to software that only exists locally in your office and you have to amass receipts while traveling then enter them all when you return. If you are an actual accountant, there are cloud solutions for you as well. Xero is a cloud-based accounting platform that can help streamline your business. Clients can reconcile finances more easily and frequently, and make your job easier. Salesforce.com was doing cloud-based customer relationship management before there was a cloud. Well, not literally, but Salesforce.com was a pioneer of online services before the cloud became a household buzzword. Salesforce.com isn’t the only cloud CRM option, though. You can also check out Maximizer, or SageCRM, or any of the many other cloud CRM services to help you track and manage your customers from the cloud. Cloud services for specific functions like accounting and CRM are nice, but you can also find online services to just help your business be a business. Facebook and LinkedIn are both good resources for networking with customers, vendors, and other business owners to share information and help one another. Manta is an online resource that helps businesses connect and grow. You should also take a look at Manta. Manta is an online platform dedicated to helping small businesses grow. It provides businesses with tools to promote themselves, and network with one another, and it has helpful tools, resources, and information. Again, this is barely the tip of the iceberg. There are far too many cloud services for me to provide a comprehensive listing in a single post. Essentially, if there is a product or service your business needs it probably exists in a cloud-based form. Make sure you search the Web and do some research on your options before making software or service purchasing decisions.